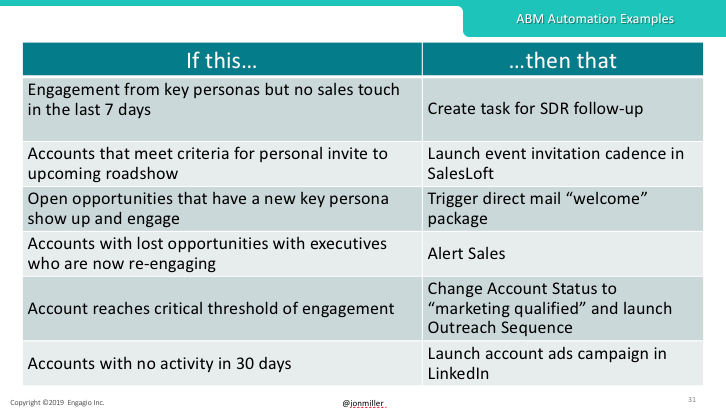 Historically, one of the biggest challenges of ABM was the premise of marketing selecting the accounts sales teams should be going after. However, rather than marketing trying to win that argument every time, Miller suggests taking a “marketing-driven, sales owned” approach to lead sales teams to target the right accounts based on accurate insights. To continue promoting better alignment between departments, it’s vital to have regular communication with reps about the accounts that matter to them. 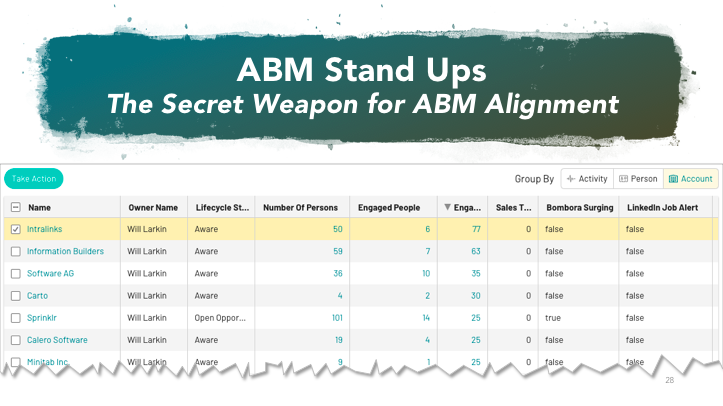 Miller suggests scheduling regular “ABM standups” with individual reps to talk specifics about their target accounts from both marketing and sales’ perspectives. Leveraging the abundance of data at marketing and sales’ disposal is vital to formulating plays to effectively engage top-tier accounts. 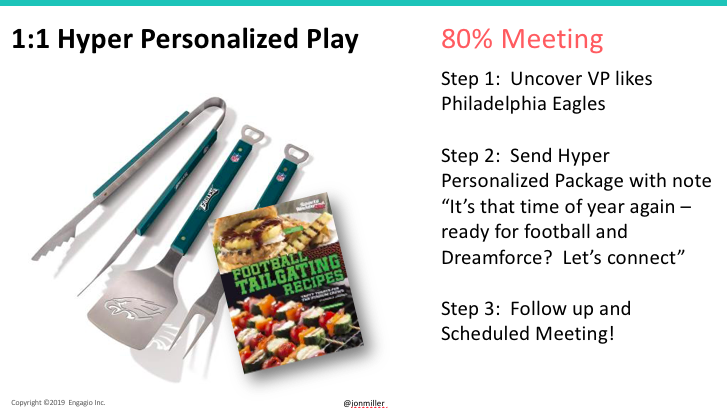 However, to stand out among the crowd, this insight should help develop deep, hyper-personalized plays that speak to accounts on a personal and professional level. While hyper-personalization is a key differentiator, there is still a variety of opportunities to automate tactics based on the deep insight garnered from account engagement. Miller noted several examples of “if this, then that” moments where account activity and behavior can lead to targeted marketing and sales interactions. Based on past coverage of practitioner use cases, it’s clear that there is a contrast between important demand gen metrics and ABM metrics. The question is where should marketing teams focus their measurement efforts? 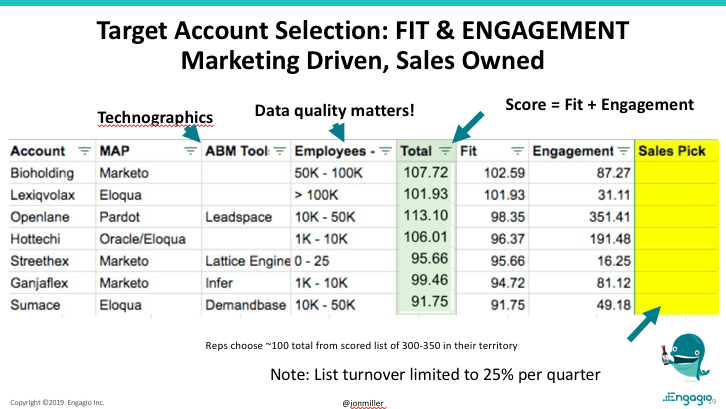 Miller highlighted how account coverage and engagement are two important metrics in ABM for better understanding where accounts stand in the buying funnel. 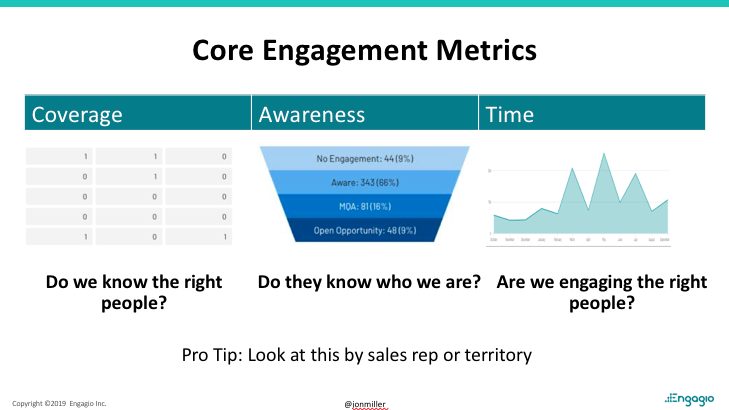 This was only a glimpse of some of the key takeaways from the recent session with Engagio’s Jon Miller. Click here to check out the full session, available on demand!